The world's largest population of Arctic reindeer herders can be found in Norway. The connection between the people of this region and reindeer goes back several thousand years. First, the people hunted them and then domesticated and herded the reindeer. Eventually, the domesticated reindeer were used for their milk, meat, and for carrying and pulling things. 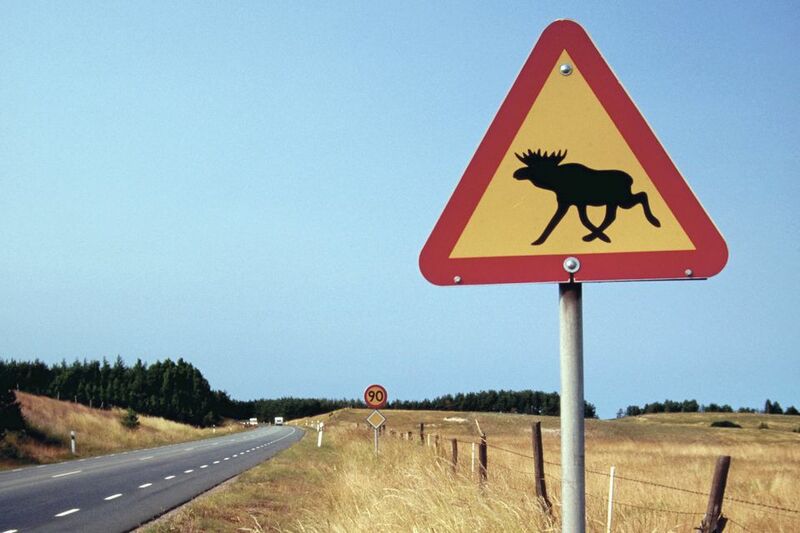 The most popular souvenir in Sweden is the commonly seen "moose-crossing" warning sign along roads in Sweden. Swedes replace thousands of these traffic signs each year. Norway is just a little bit larger than the US state New Mexico and two-thirds of Norway are mountainous regions. Norway has almost 300 mountain peaks above 2,000 meters (over 6,500 feet) in height. While Finland is called "The Land of the 1,000 lakes", the country has more than 188,000 lakes with 98,000 islands. Now known worldwide, the inventors of LEGO toys got started in Billund, Denmark in 1932 manufacturing not LEGO blocks but stepladders! Billund is now the home of Legoland Theme Park. During Easter in Sweden, which is a well-known holiday there, children dress up and go from home to home asking for candy, similar to Halloween. Sweden is known for innovation and inventions. It is the country that first offered the perfected zipper, the marine propeller, the fridge, the heart pacemaker and even created your computer mouse. Not to forget the much-loved discount furniture retailer IKEA and fashion from H&M. Reykjavik, the capital of Iceland, has sidewalks that are heated by geothermal heat in the winter. This takes care of snow-shoveling. Thermal groundwater, which is between 100 and 300 degrees C (between 212 and 636 degrees F) is also used to heat Reykjavik's homes. In Denmark, a flag is flown outside when it's someone's birthday. If you're not married when you turn 30, you will get a pepper shaker as a gift and men are called a Pepperman (in Danish: pebersvend) while females will be a Peppermaid (pebermø). In Norway's dark winter during the Polar Nights, the sun is up for only 3 hours a day in some parts (and in others, doesn't come up at all), a phenomenon which is said to affect and slow pregnancies of Norwegian women. On the other hand, the NRK reports that there are more births in Norway in April than in any other month apart from the town of Bodø, where the majority of births are in October and November!